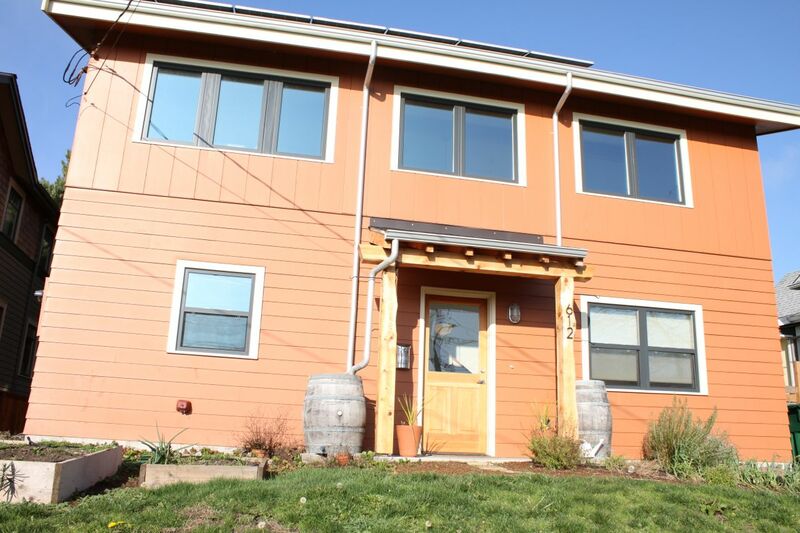 Homeowners Eric Thomas and Alexandra Salmon are not the only ones excited about one of Seattle’s first true net-zero energy homes (a home that produces as much electricity from the sun as it uses over the course of a year). 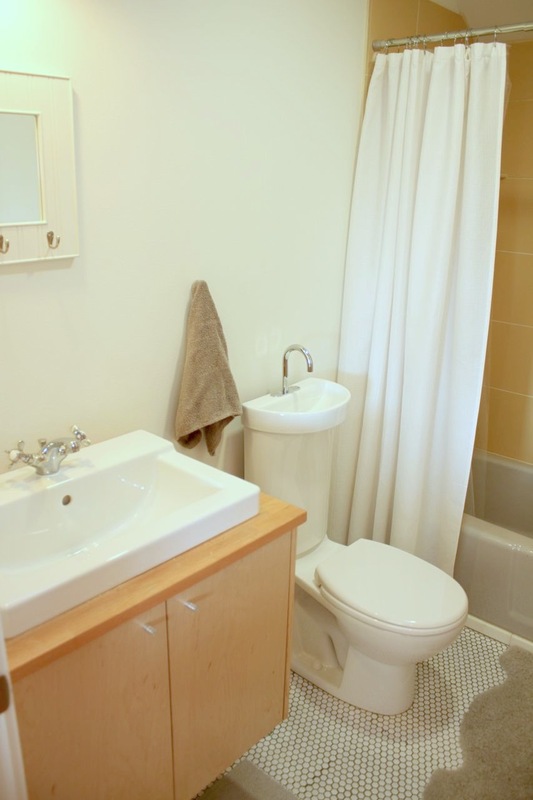 The home has garnered a lot of media attention from local TV and radio news shows and newspapers and national magazines and web sites as well. The newlyweds were just looking for a house to buy and couldn’t find anything they liked in their price range. 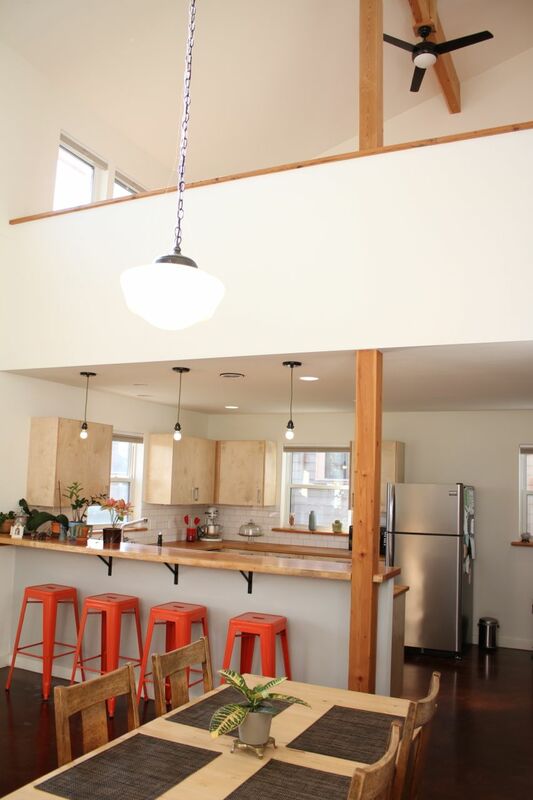 When they came across an empty lot for $180,000 in the Ballard neighborhood of Seattle, they decided to build. 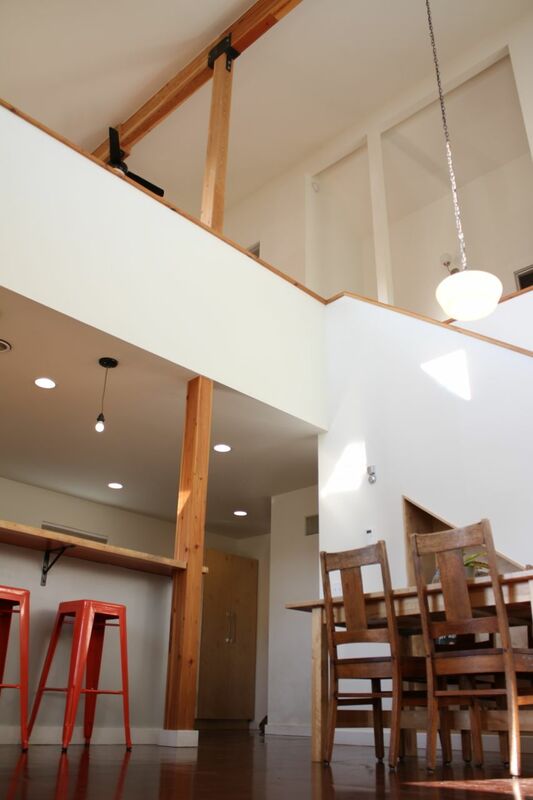 A search for house plans turned up Zero Energy Plans LLC, a design firm started by pioneering zero energy home builder Ted L. Clifton who builds highly energy-efficient custom homes on and around nearby Whidbey Island in the Puget Sound. 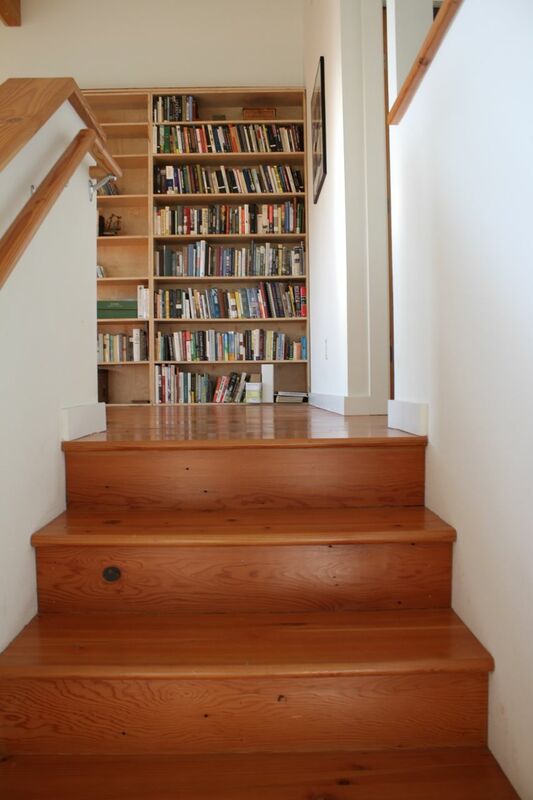 The couple was attracted to the idea of building a home that produces at least as much energy as it consumes. 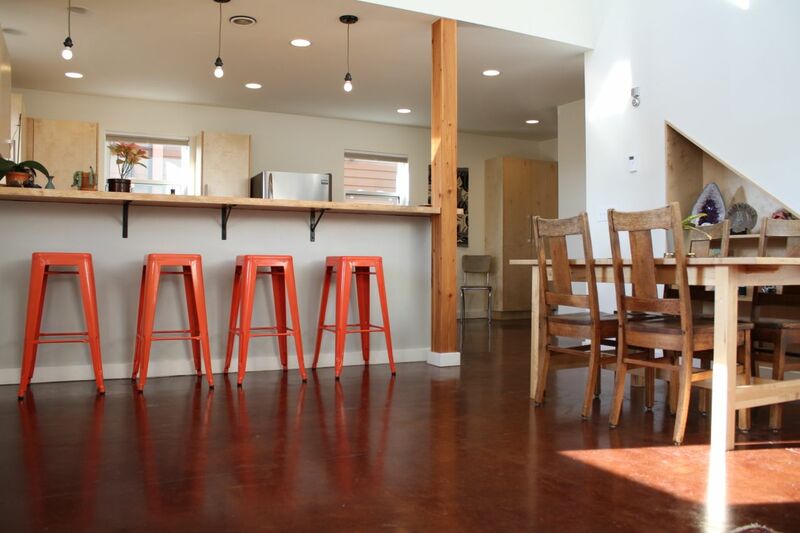 The radiant heating system consists of PEX tubing in the first-floor slab, which circulates water that is heated by an air-to-water heat pump. The 3-ton heat pump has a capacity of 35,400 Btu/h with a heating efficiency HSPF (heating season performance factor) of 9.2 or a COP (coefficient of performance) of 3.0 to 5.5.Thanks to the home’s open design, well-insulated shell, and air-mixing ventilation system, this first-floor hydronic heating system is all that’s needed to keep even the second-floor bedrooms warm, with the exception of a small electric-resistance in-floor heating mat in the upstairs bathroom. 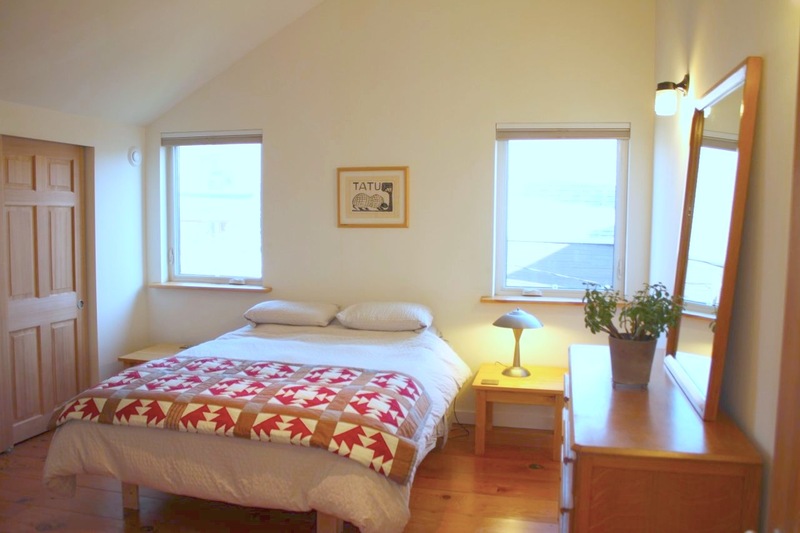 The air-to-water heat pump also preheats the home’s domestic hot water. 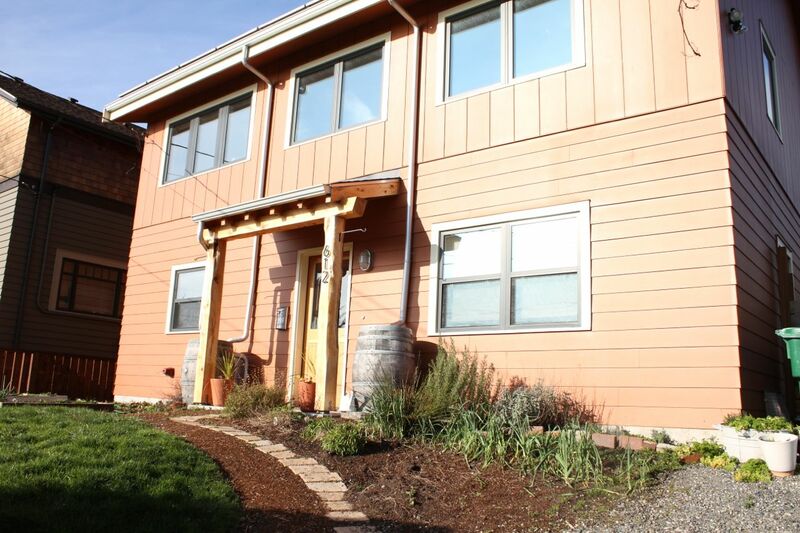 The home’s building envelope is insulated and air tight to levels approaching Passive House standards. The slab-on-grade foundation is separated from the ground by four inches of extruded polystyrene (XPS) rigid foam, providing an R-20 insulation value. Two inches (R-10) of XPS rigid foam insulation covers the exterior of the foundation walls down to the footing. SIP panels form the roof and walls for a high-performance shell without the thermal bridging and cold spots that can occur with other types of wall cavity insulation. SIP’s provided the added benefits of sound proofing, structural strength, and air-tight construction. Night-ventilation cooling is all the air conditioning the highly insulated home needs in the summer. The walls and roof of the home are composed of structural insulated panels (SIP’s). For the walls, these panels consist of two pieces of OSB sandwiching a 5-5/8-inch layer of rigid expanded polystyrene (EPS) that, together with siding and drywall, provides a total wall insulation value of R-26. The walls are covered with a corrugated house wrap that provides a drainage plane and a slight air gap for ventilation. 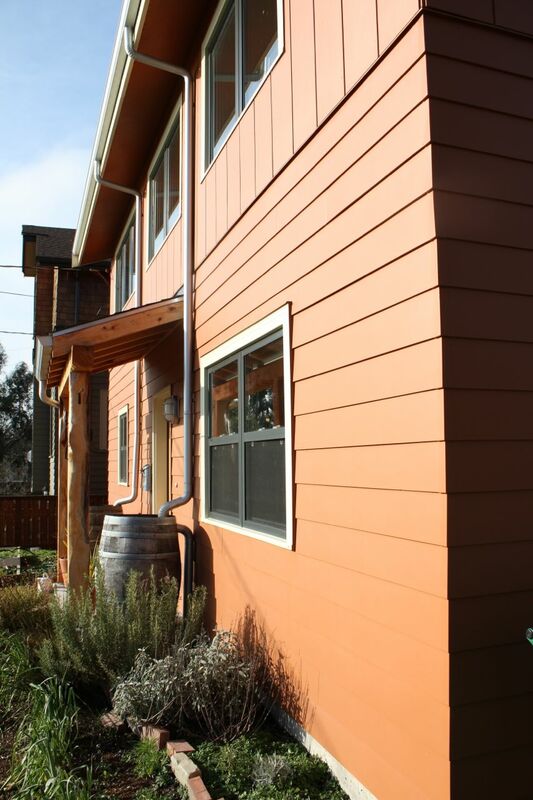 The home is sided with durable, rot-resistant fiber cement siding. The EPS roof is built with thicker 10-1/4-inch SIP panels providing an R-41insulation value. 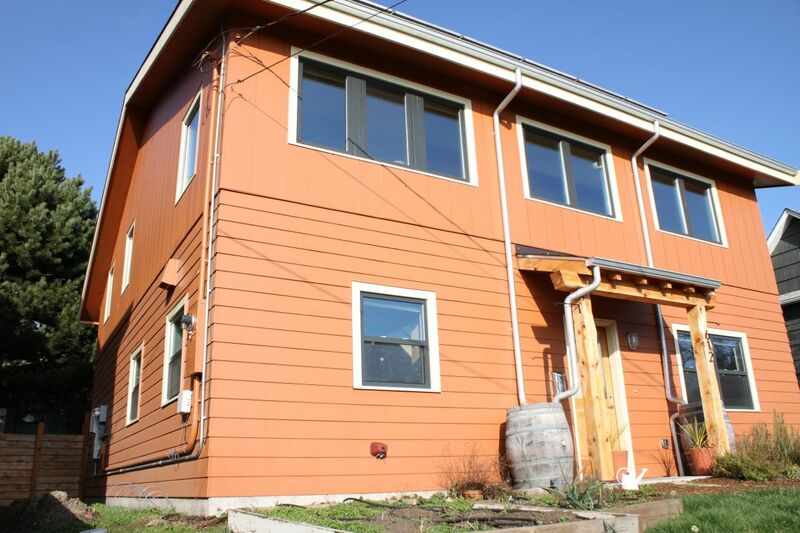 The SIP’s are manufactured locally in a factory 30 miles south of Seattle and come to the site precisely cut for the home design, which enables quick assembly with much less construction waste than is typical of site-built framed walls. 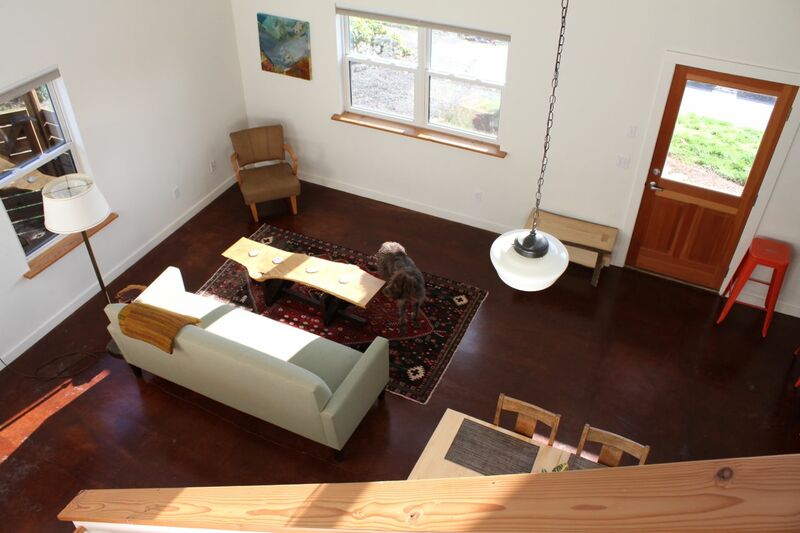 The home’s south-facing windows allow in winter sunlight to warm the slab for passive solar heating. Even without counting in the solar panels, the home earns a home energy rating system (HERS) score of 37. With the 6.4-kW photovoltaic power system installed on the roof, the home’s HERS scores drops to -1 and utility bills for the all-electric home drop to zero. The home has actually performed better than predicted, hitting zero on the net electricity meter three months ahead of schedule. By January 2013, after 15 months of living in the home, the home owners had a credit of $230 with the utility company. With a custom design, high-end appliances and equipment, and so much performance, one would expect the price tag to be pretty steep but the very average price is one reason the unique home has attracted so much attention. The cost to build was only $124/sq.ft(or $114 if you count the rebates and incentives), whereas the average cost for new residential construction in Seattle is $200/sq.ft. 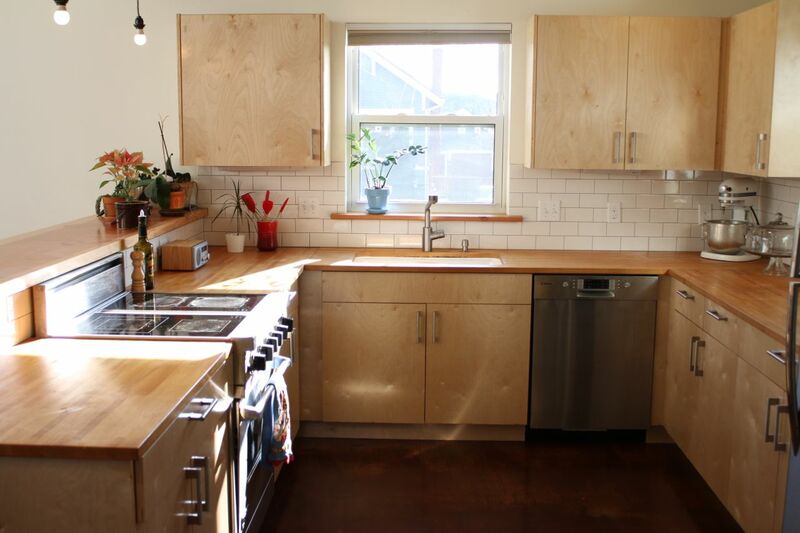 The home has earned several certifications including DOE Zero Energy Ready Home, ENERGY STAR Version 3 (Northwest version), EPA Indoor airPLUS, and Built Green – 5 Star.